Despite the departure of Process Expo, food-focused processing will continue at the fall packaging show. As a result of the divorce between Process Expo and Pack Expo, the latter's 2010 show – scheduled for Oct. 31-Nov. 3 at Chicago's McCormick Place – will have a number of new features to "make it easy for packagers and processors from around the globe to enhance operational excellence across the production line, speed new product commercialization and grow brand sales," says the Packaging Machinery Manufacturers Institute (PMMI) which manages all Pack Expos. Among the new features is "The Processing Zone," meant to replace the Process Expo formerly staged by the Food Processing Machinery Suppliers Association, now an independent show. Not entirely devoted to food, this pavilion area will highlight processing technologies for beverage, baked goods, snack food, meat, dairy and produce, as well as pharmaceuticals and cosmetics. Exhibits will include technologies to enhance food safety, reduce waste, ensure product freshness and improve sustainability. The Brand Zone – A success at last year's Pack Expo Las Vegas, its debut at Pack Expo International (as the even-year, Chicago-sited shows are called) "will provide inspiration and innovation to brand managers at consumer goods companies who understand that packaging plays a critical role in successful products." It's a two-part exhibit: a package design competition that challenged designers to look 10 years ahead and a retail component that will focus on technologies such as augmented reality that will change the way we all experience retail, also circa 2020. The Confectionery Pavilion – This new pavilion, sponsored by the National Confectioners Assn., will carry the machinery and packaging materials for that category. Another new feature will be the inaugural Manufacturing Excellence Conference, created by the Grocery Manufacturers Assn. (GMA). 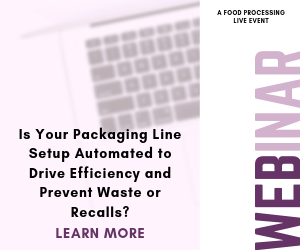 It's meant to provide an educational component to PMMI's trade show – and to emphasize the packaging association's interest in the food sector. Alan Wilson, president & CEO , McCormick & Co. covering "Manufacturing Excellence: From the Top Down to the Feet on the Ground." A panel including Dane Bernard, vice president, food safety & quality, Keystone Foods; Matilda Freund, senior director of food safety, Kraft Foods Inc.; and Joe Levitt, partner, Hogan Lovells LLP, discussing "Welcome to the New World of FDA Food Safety Modernization." Bob Bracket, director of the National Center for Food Safety & Technology, will moderate. Kevyn Renner, senior technology consultant at Chevron Global Manufacturing, presenting "Back to the Future in CPG Manufacturing: Re-thinking Simulation & Modeling." In all, Pack Expo International will provide an estimated 45,000 attendees with access to more than 2,000 packaging and processing equipment suppliers, containers and materials companies and components manufacturers. These exhibitors will display throughout McCormick Place's North, South and Lakeside Halls, taking up 1.2 million net square feet of space altogether. To register, visit www.packexpo.com.